Amazingly clear resonance sound and quality! 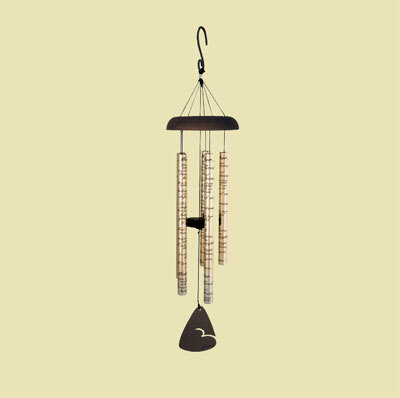 This is from the original 30" Sonnet Chimes Collection which is one of our most successful wind chime collections! The combination of clean sleek lines, adjustable strikers and heavy gauge center-pinned tubes printed with meaningful messages, poems, and songs have made them so. 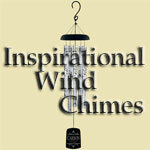 This chime is dedicated to Mothers. Each tube reads, "Mother: You have nurtured me with love and kindness. You have been someone I can believe in and depend on. It's important that you know how grateful I am. For all that you give, and for the strength I will always have, because of you, I love You..."
Perfect gift for letting your mother know just how much she means to you. There are five 7/8" diameter tubes. Measures 30" long.